The special and unique characteristics of our filter board are known only to our engineers and within this circuit lies the key to designing cables optimized for REL Sub Bass Systems. Available in 3M, 6M, and 10M lengths. Naim amplifier compatible Bassline Blue cables available in 3M and 6M lengths. Bassline Blue™ is a sensibly-dimensioned cable, well-constructed so that it will improve the overall sound of every aspect of the host system’s performance. As with any REL product—the improvement extends well beyond the obvious bass region. The greatest area of improvement lies in the manner in which the entire soundstage is illuminated. This is a quality quite different from brightness. Illumination acts to bring light into the stage and renders contrast and clarity as well as dynamic shadings much more evident. What’s In a NAIM? These same benefits are available to most NAIM owners—especially the older, classic models. These units feature an unusual output impedance that is quite complex. 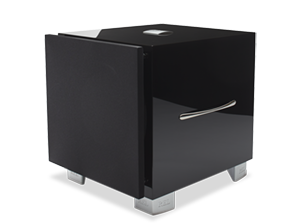 REL worked closely with NAIM engineers to model this behavior and arrived at a special circuit built into each NAIM cable that replicates this impedance so that it is safe to run Bassline Blue on early NAIMs. We even sourced a wonderful stackable banana plug that makes it so easy to use the cables, just plug them in to NAIM’s flush-mounted chassis banana sockets and then plug your speaker cables directly into the rear of our stackable banana plug. Beyond optimizing the geometry of the internal lay of the cable, we also employ copper that exceeds industry practices and is of a quality and type generally specified for military use and high speed telecommunications. Bassline Blue is constructed of slow-drawn, high purity copper, drawn in a nitrogen bath to minimize impurities on the surface of the wire. Each individual conductor is coated in a Teflon film immediately upon leaving the extrusion die to ensure that impurities cannot impinge on the cable while awaiting further processing. This technique produces a sound that is exceptionally pure and natural which we term Natural DrawnTM wire. Bassline Blue is hand constructed at our California facility using cable produced exclusively to REL’s specification by a North American OEM wire and cable house. Construction is quite labor intensive and can require up to one hour per cable. We use pure silver solder for all connections which ensures not just high quality sound, but also as the cable ages and oxidation sets in sonic degradation should be nil due to the conductive properties of pure silver. REL employ Swiss-made Neutrik SpeakOn connectors at the input to the REL sub bass system. In over 100,000 RELs in use the world over, this connector has proven itself reliable, neutral and a mechanically ideal connector for REL’s renowned High Level Input circuitry. BLUETM also features high quality spade lugs coated in gold to minimize oxidation. Should your amplifier require a bare wire connection, this is easily accommodated by manually re-terminating the individual red, black and yellow leads. The standard high-level hookup procedure is: attach the red wire to the amplifier’s right positive speaker output terminal; attach the yellow wire to the amplifier’s left positive speaker output terminal; attach the black wire to whichever of the amplifier’s ground output terminals is convenient; plug the Speakon connector into the Sub-Bass system’s high-level input. For diagrams, more detail and alternate REL High-Level Hookup options please click here. In the interest of product development, REL Acoustics Limited reserve the right to vary these specifications without notice.